50 years ago, Mankind headed into space for the first time. 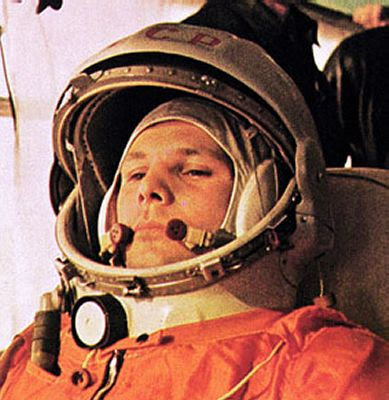 Russian cosmonaut Yuri Gagarin headed out for a 108 minute ride into space, making him the first human ever to boldly go where no one had gone before. We remember him today, and all the brave pioneers who have headed out into the cosmos over the past five decades. We should also remember the seemingly late American programme for human exploration of space today. The retirement of the shuttle programme now leaves the USA and the West with no Western method or vehicles for getting mankind into space, and leaving Mankind reliant on the Russians to get into space to the International Space Station. In 50 years we have come so far with the Americans putting Man on the moon, but now today we're in exactly where we were 50 years ago, with the East, namely the Russians (and the fledgling Chinese space programme) able to put humans in space, with the West and the Americans currently lagging far behind.